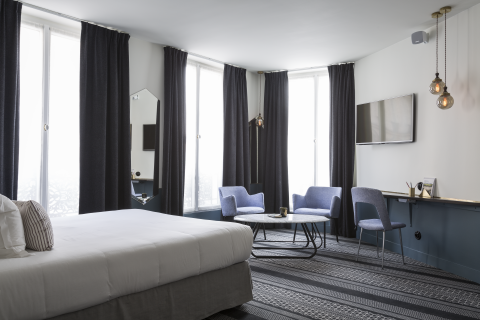 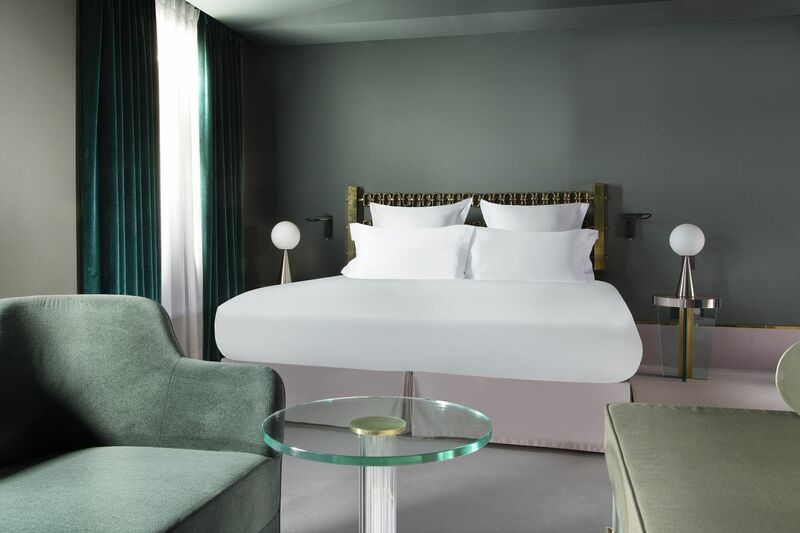 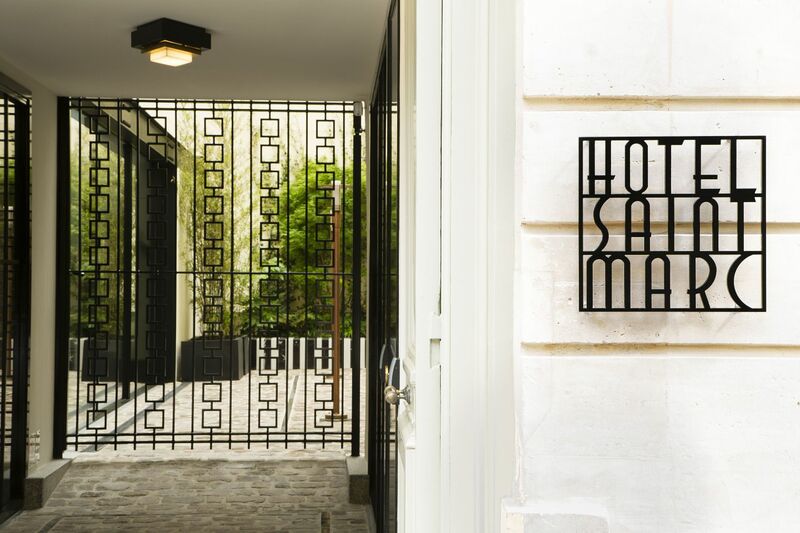 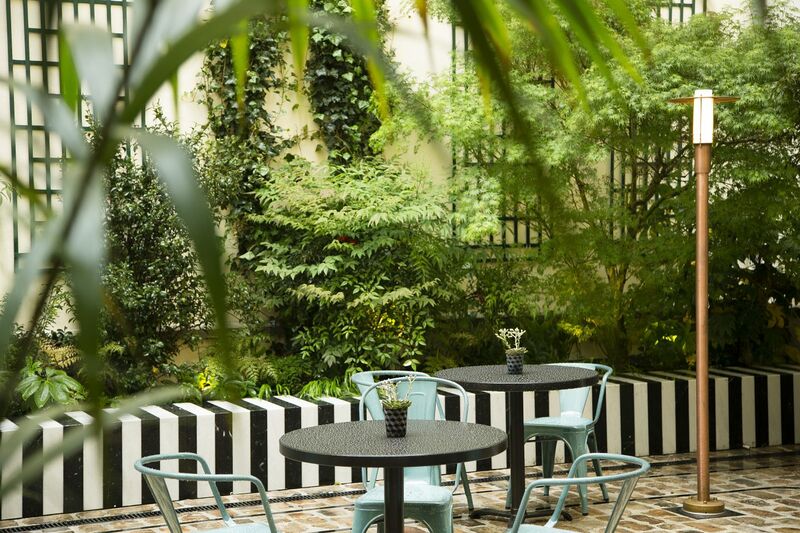 A boutique stay in the 2nd Arrondissement fuses Art Deco motifs with 1970s glamour. 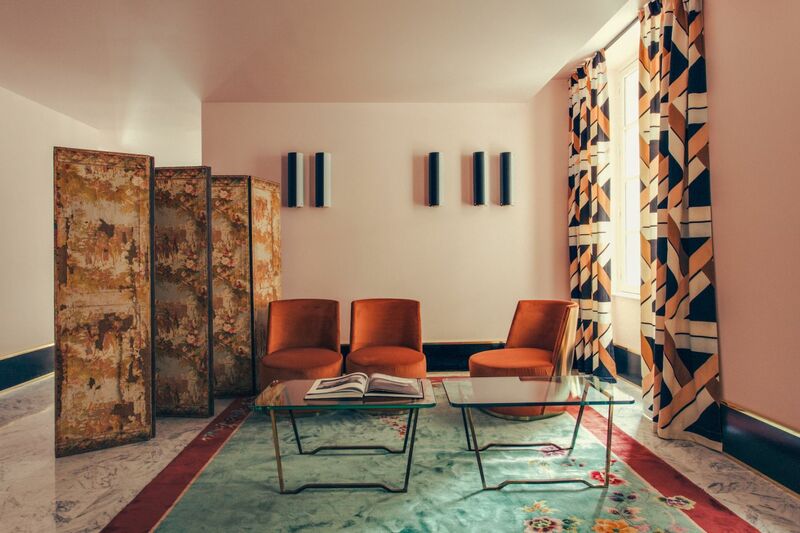 The 18th-century Hôtel de Choiseul building—at different times the headquarters for the era’s newspaper, Le National, and an aristocratic Italian restaurant—is the cast for Milan-based design due Emiliano Salci and Britt Moran of Dimore Studio’s fashionable Hôtel Saint-Marc on a corner block beside the Opéra Comique. 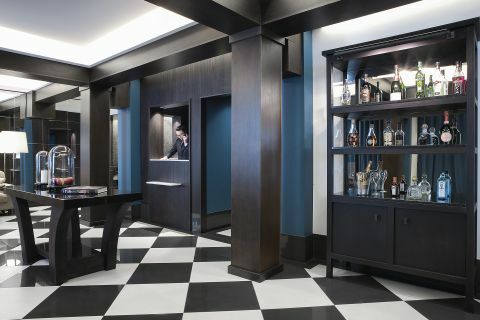 The firm’s work has been celebrated for burnishing older periods with shiny new polishes. 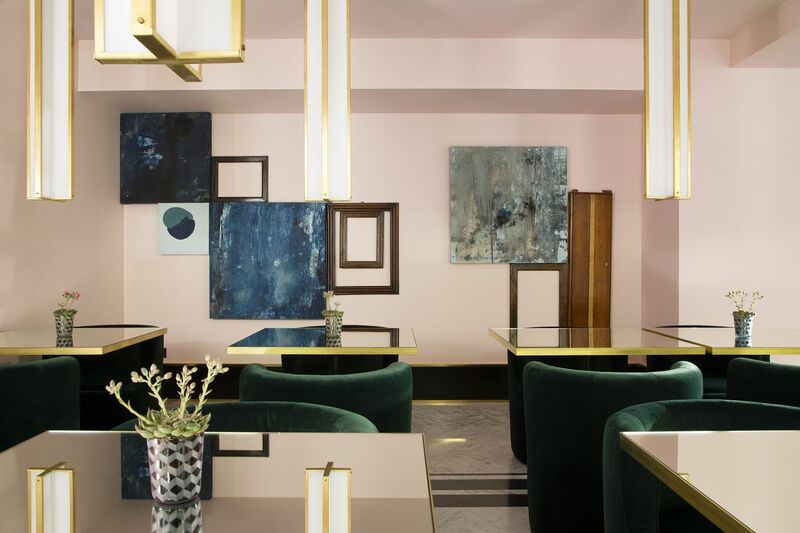 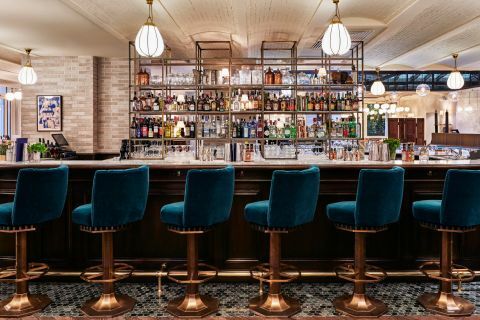 Here, it’s an Art Deco take on the interior, though the result, with its loud patterns, eccentric bits of sculpture, glitzy mirrors, and shiny marble reception desk, is curiously more ’70s than ’30s. 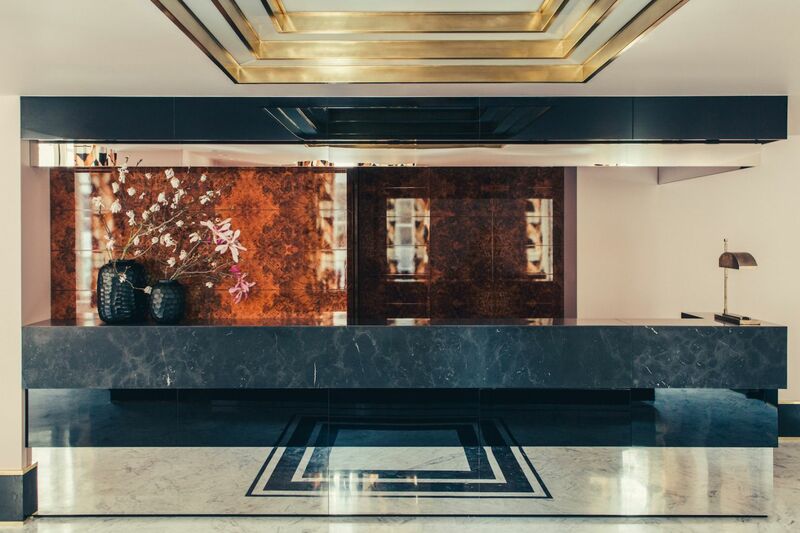 You almost expect to see Gary Glitter wandering around the lobby. 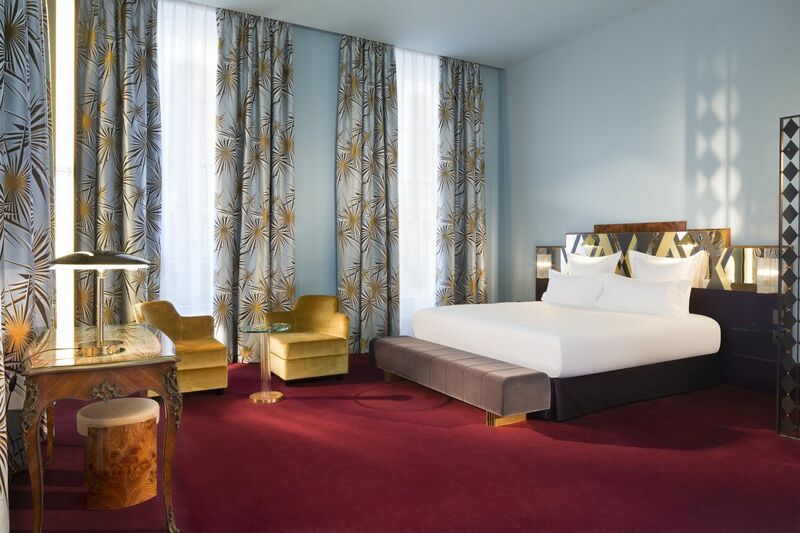 The surprise includes the selection of enormously varied colors and fabrics in the 26 rooms: dark green, sky blue, mustard yellow, cherry red graphic tweed curtains, and satiny foliage prints. 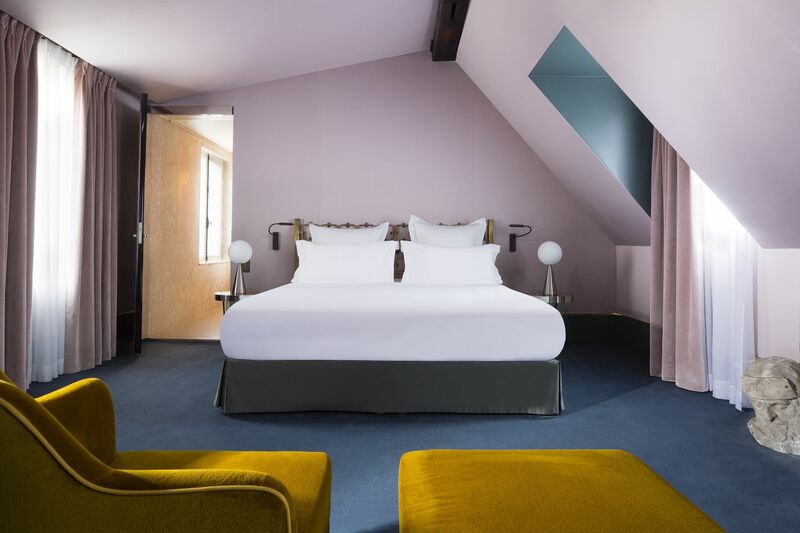 Dedar velvet armchairs and Fontana Arte lamps pair with polychromatic zigzag O. Borsani headboards for a reinterpretation of the Deco age through Dimore’s lens. 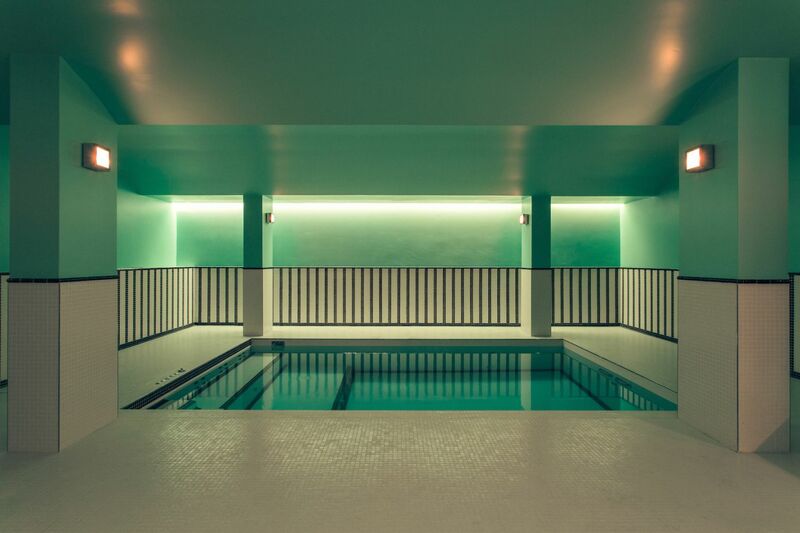 Another ode the the style’s exuberance awaits beneath the surface of the 2nd Arrondissement, where a covert pool and hammam outfit a low-lit space.